Naval pilot Jake Grafton flies fighter jets with ice water in his veins. But when he's assigned a desk job in the Pentagon as the head of a top-secret stealth bomber program, his nerve is tested as never before. Colleagues die mysteriously, test flights are sabotaged, and the program is threatened at every level. America faces a deadly, catastrophic threat. 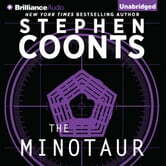 If Grafton can't infiltrate a web of espionage and counter-espionage centered round the deadly traitor, code-named the Minotaur, embedded in the highest reaches of the U.S. government, he stands to lose much more than just his career. 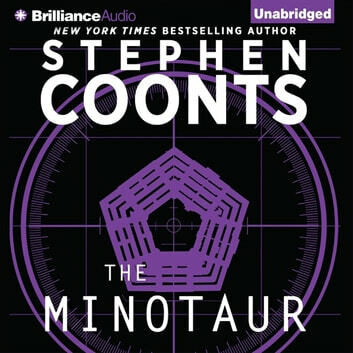 The Minotaur is an exhilarating mixture of cutting-edge aviation, spies, and counter-spies, all set in the complex world of military technology R&D. In this unique espionage thriller written early in his career, Coonts's extraordinary talent is brilliantly displayed.